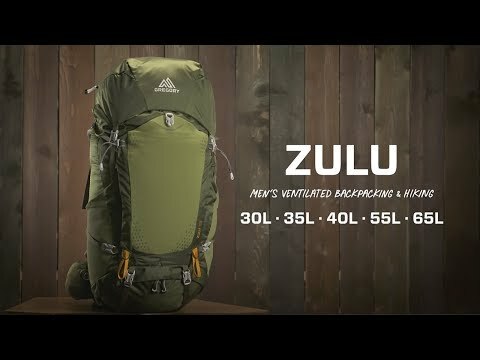 Light and airy on your back, this rugged pack suits weeklong summer hikes and multi-day snow camping treks. The trampoline suspension creates space between your back and the pack, so cool air can flow through. When it's loaded up with food, water and spare layers, the harness and suspension work together to automatically balance flexibility and stiffness in the frame. Includes an ultra-light day pack for exploring ridges you can see from your tent. Body fabric is nylon with 210-denier nylon at the base for abrasion resistance. Low-profile CrossFlo DTS trampoline style back panel adds ventilation without sacrificing load management or robbing volume to stash stuff inside. Bottom zippered sleeping bag compartment. Adjustable webbing straps can be put on different lash points to carry your sleeping pad, or can carry the Sidekick pack as a waistbelt. 2 exterior stretch water bottle pockets, and zippered lid pocket with key clip. Designed for loads up to 18kg.